One of my favorite books in the Eth Cepher is this book of Zakaryahu, or in the common vernacular, Zechariah. 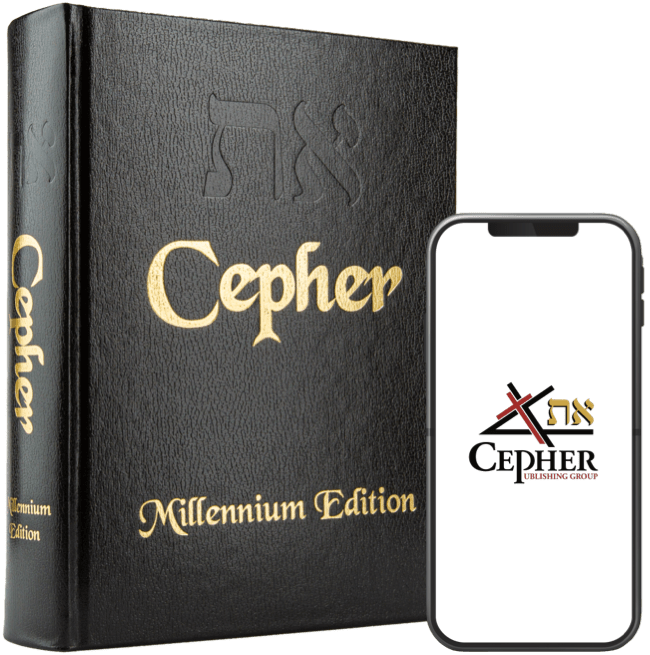 Back in the days when I attended the corporate 501(c)(3) church, I would never hear anyone preach on this book, although it contains one of the most important prophecies concerning Mashiach ever written in the pre-messianic age. I think the difficulty had to do with a failure to understand who was Joshua (YAHUSHA), because, of course, the church took up the name Jesus, the English pronunciation of the Latin Jesu, a derivation of the Greek Eesuys, a name given by Marcion early on resembling Hail Zeus in the Greek. As a consequence, it was reasoned that it was better left not discussed, than to raise the issue of the true name. Again the word of the YAHUAH TSEVA’OTH came to me, saying, 2 Thus says the YAHUAH TSEVA’OTH; I was jealous for Ziyon with great jealousy, and I was jealous for her with great fury. 3 Thus says YAHUAH; I am returned unto Ziyon, and will dwell in the midst of Yerushaliym: and Yerushaliym shall be called a city of truth; and the mountain of YAHUAH TSEVA’OTH the holy mountain. 4 Thus says YAHUAH TSEVA’OTH; There shall yet old men and old women dwell in the streets of Yerushaliym, and every man with his staff in his hand for very age. 5 And the streets of the city shall be full of boys and girls playing in the streets thereof. 6 Thus says YAHUAH TSEVA’OTH; If it be marvelous in the eyes of the remnant of this people in these days, should it also be marvelous in mine eyes? Says YAHUAH TSEVA’OTH. 7 Thus says YAHUAH TSEVA’OTH; Behold, I will save my people from the east country, and from the west country; 8 And I will bring them, and they shall dwell in the midst of Yerushaliym: and they shall be my people, and I will be their ELOHIYM, in truth and in righteousness. 9 Thus says YAHUAH TSEVA’OTH; Let your hands be strong, ye that hear in these days these words by the mouth of the prophets, which were in the day that the foundation of the house of YAHUAH TSEVA’OTH was laid, that the temple might be built. 10 For before these days there was no hire for man, nor any hire for beast; neither was there any peace to him that went out or came in because of the affliction: for I set all men every one against his neighbour. 11 But now I will not be unto the residue of this people as in the former days, says YAHUAH TSEVA’OTH. 12 For the seed shall be prosperous; the vine shall give her fruit, and the ground shall give her increase, and the heavens shall give their dew; and I will cause the remnant of this people to possess all these things. 13 And it shall come to pass, that as ye were a curse among the heathen, O house of Yahudah, and house of Yisra’el; so will I save you, and ye shall be a blessing: fear not, but let your hands be strong. 14 For thus says YAHUAH TSEVA’OTH; As I thought to punish you, when your fathers provoked me to wrath, says YAHUAH TSEVA’OTH, and I repented not: 15 So again have I thought in these days to do well unto Yerushaliym and to the house of Yahudah: fear ye not. 16 These are the things that ye shall do; Speak ye every man the truth to his neighbour; execute the judgment of truth and peace in your gates: 17 And let none of you imagine evil in your hearts against his neighbour; and love no false oath: for all these are things that I hate, says YAHUAH. Oh, yeah! What a statement! What a Word! Has this come true in the modern epoch? It most assuredly has, and I can say so as a first hand witness. Yes, I saw old men and old women walking on King George, some men with canes walking along the streets. Yes, I met boys and girls playing in the streets . . . well, unfortunately, we were lost and we were asking directions about how to find our obscure bed and breakfast. All of this is true and has occurred since 1948, and it is marvelous in the eyes of the remnant of the people who managed to survive the latest attempt to exterminate all of them from the face of the earth. So let us take the admonition of YAHUAH: FEAR NOT, BUT LET YOUR HANDS BE STRONG.